This article, written by Robert Steuteville, was originally published at Public Square: A CNU Journal, and has been shared with permission with The Town of Whitehall. Houses appreciate. Cars depreciate. That simple contrast is a key to building wealth over a lifetime, writes Todd Litman, a researcher with the Victoria Transport Policy Institute. Even though housing is more expensive in walkable, transit-rich neighborhoods, vehicle costs are substantially lower. 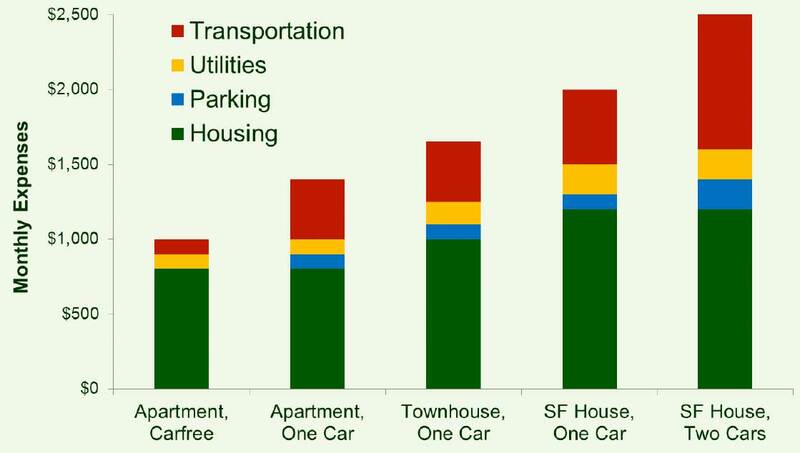 Households in such neighborhoods shift their spending from transportation to housing. Over 40 years, this shift will add a million dollars of net worth to a typical household, Litman calculates. That’s enough to put children through college and/or to retire on—all from careful choice in housing location. There are plenty of other reasons to live in a walkable neighborhood—among them better health because exercise is built into the daily routine, less damage to the environment by cutting carbon emissions, and less time spent driving which frees up leisure. But the “million dollars” should really get people’s attention. “Urban fringe homes generally offer more space per dollar, and so appear to be better investments, but there are other economic factors to consider. By shifting household spending from transport to real estate, Smart Growth tends to increase household wealth, and by providing more affordable transport options it increases economic resilience,” says Litman, in a report called Selling Smart Growth. In the last generation, urban housing in North America has appreciated faster than suburban or rural housing. This price appreciation has added to the wealth of those who have invested in multimodal places. The appreciation is due to the rising demand for walkable urban places due to changing demographics, reduced crime, and the return of jobs to urban centers. Housing appreciation in Urban, Suburban, and Rural locations over the last 20 years. Source: Todd Litman, Selling Smart Growth. Litman discusses his own experience living in a walkable neighborhood in Victoria, British Columbia. • In 2025, when the mortgage is paid and Litman can retire, it “should be worth more than a million dollars,” he says. That’s a thirty year time period in Canada, but he has run the numbers for the US over 40 years for three scenarios: the TOD (transit-oriented development) location—a house in a walkable neighborhood with transit access; the inner-ring suburb; and the urban fringe. The fairly typical $60,000/year US household can afford $27,000 in combined housing and transportation expenses (that’s 45 percent of income for the two expenses together). “After ten years the TOD home builds $63,789 more equity, and after 25 years $448,217 more equity, than an urban fringe home. 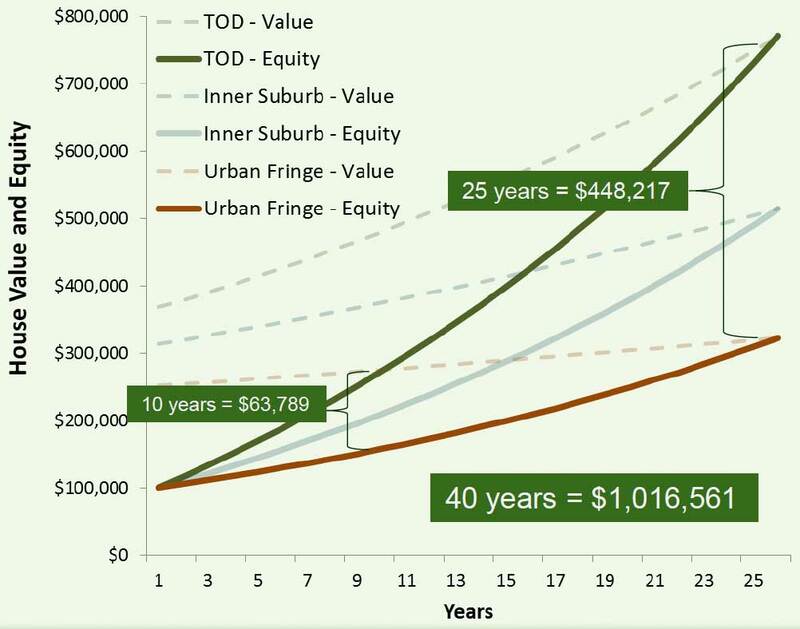 If, starting at age 25, a household always chooses TOD homes and invests the transport savings in real estate, they can retire at age 65 with approximately $1.8 million in equity, $1,016,561 more than if they purchased urban fringe houses with high transportation costs,” Litman calculates. The potential savings are demonstrated in the Housing & Transportation Affordability Index (H&T Index), created by the Center for Neighborhood Technology in Chicago. The Index makes the case that households should not spend more than 45 percent of their income for housing and transportation combined. This goal is best achieved in walkable neighborhoods, even though the cost per square foot of housing may be higher in those neighborhoods. 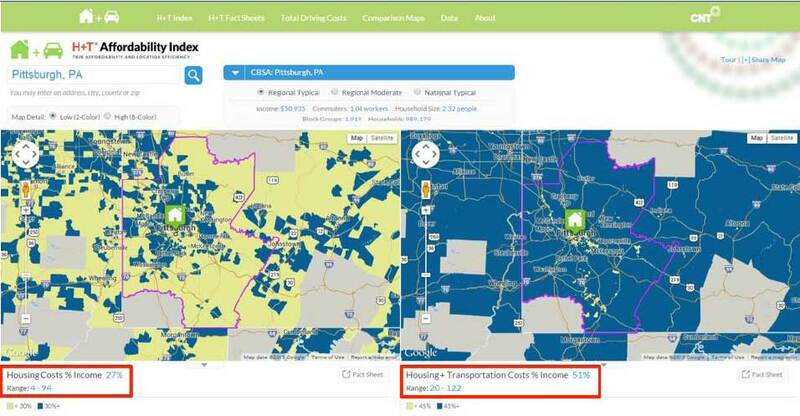 H&T Index of the Pittsburgh area shows affordability based on housing, left, and housing and transportation, right, in the Pittsburgh region. Distant areas are relatively less affordable. CNT founder Scott Bernstein notes that poor and working-class families are routinely given financial advice on how to get a car loan, but they are not educated on the financial advantages of reducing transportation expenses. 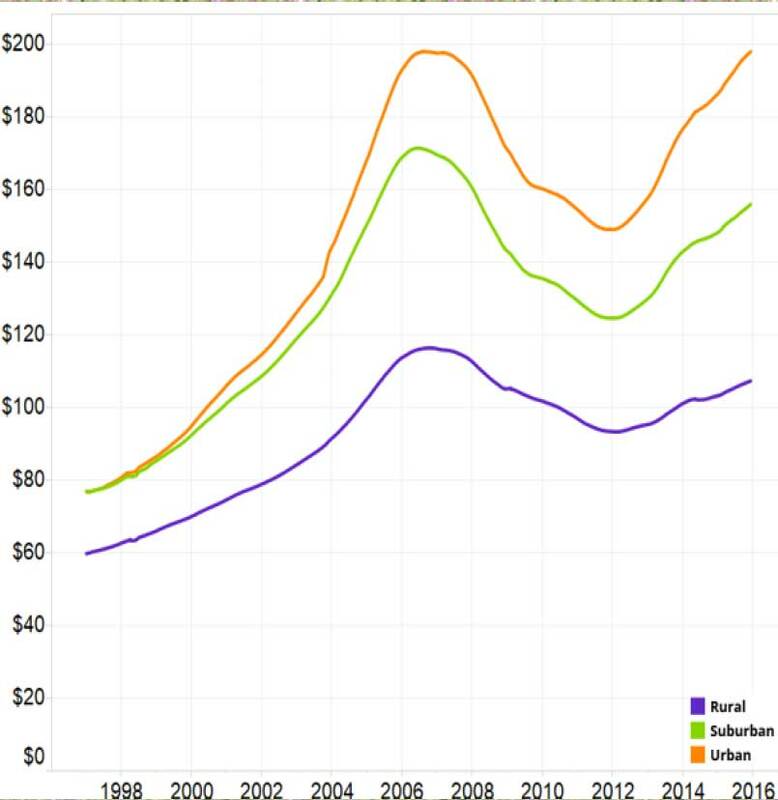 Less affluent households in distant suburbs are often caught in a bind, Bernstein notes. Such households may use strategies to reduce car costs—especially owning older cars—but higher maintenance costs kick in when the car is driven a lot of miles. “It is difficult to spend less than about $6,000 annually to legally own and operate a high-annual-mileage vehicle,” says Litman. An urban center is nearby. Walking and cycling conditions are excellent. Density is sufficient and housing is diverse. 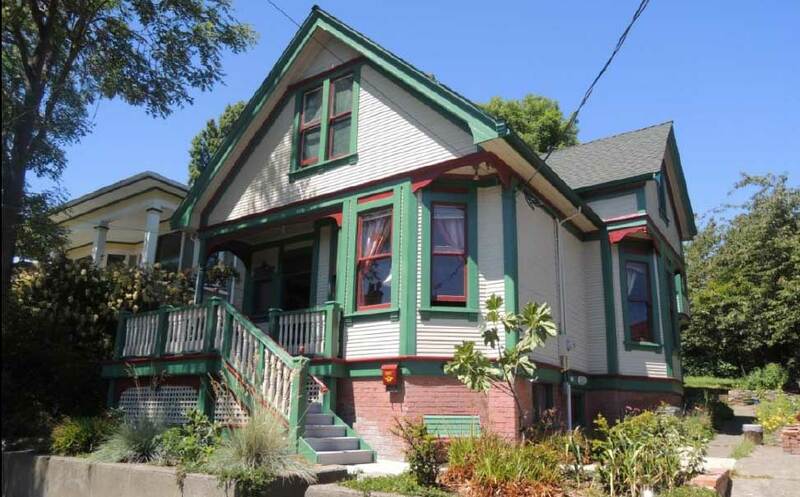 Homes are within an easy 10-minute walk of commonly needed services (public transit, shops, schools, parks, etc.). Streets are complete (designed for multiple users) and well connected. Public transit and taxi/ride-hailing services are adequate. Car-sharing (vehicle rental services) is available.